We have been loving the Ezo Gelin (Turkish Red Lentil and Bulgur Soup) at the Cafe Istanbul. The sesame topped crusty bread makes a perfect pair with the soup. This a uncomplicated version of the Ezo Gelin – there is no bulgur in this soup of mine. If I am not mistaken, the lentil soup is more commonly known as the Mercimek Corbasi in Turkey. Do correct me if I am wrong! This soup is amazingly similar to the way the Indian lentils are cooked. 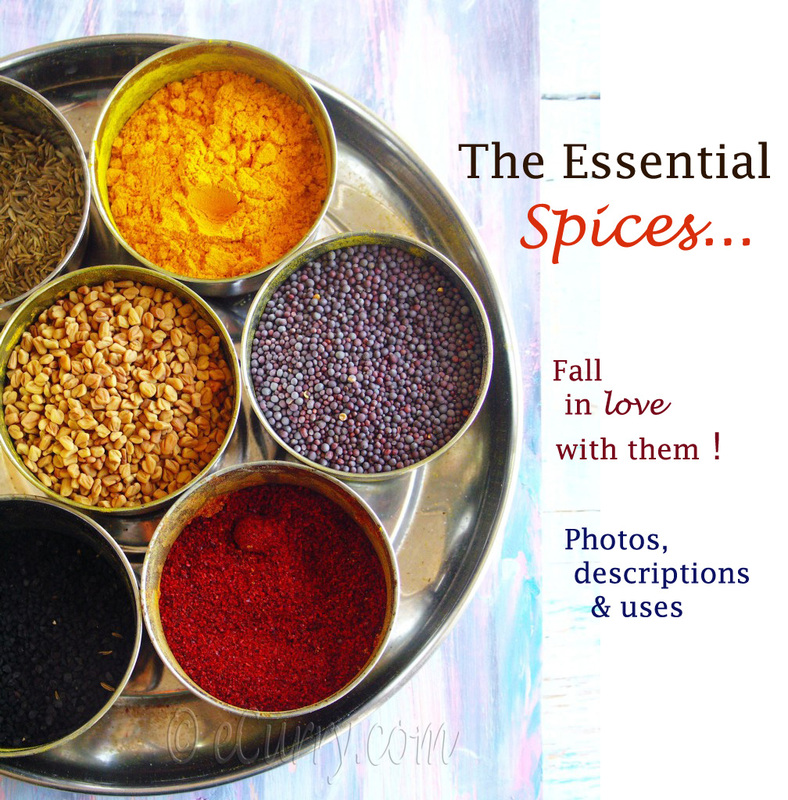 A healthy, aromatic bowlful which also does fill in the cravings of the taste buds pretty well. Being of Indian origins we do use lentils a lot in our diet. 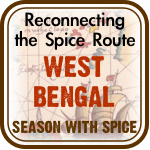 I think I must have mentioned before that red lentils or masoor dal is one of my favorites. I love the color, I love the fact that this one cooks way faster than many of its siblings and growing up with eating this almost every day I cannot live without it. Here is a recipe with my favorite red lentil complements any part of the meal; have it as a starter, or as a main meal with some nice warm bread and big salad. Light, healthy and satisfying. Heat the butter in a large saucepan and saute the onions (& carrots if you are using them) over low heat until they are light golden–about 5 minutes. Stir in the paprika, cumin, the tomato paste, and hot pepper flakes; cover and cook for another 5-7 minutes. Add the lentils and salt and stir everything together so the tomato and the spices combine with the lentils. Add the water/stock and cover and cook till everything is mushy for about 30-40 minutes. OR use a pressure cooker and cook the lentils till they mushy. ( I always use pressure cooker to cook my lentils). When the lentils are cooked, use a hand blender to blend the soup is to a smooth consistency, or leave it the way it is if you do not want it like a puree. Crumble the mint leaves and add into the soup. Stir and simmer for 2-3 minutes. Remove the soup from the heat. Sprinkle some of the sumac (save the rest to garnish). Stir to combine. Ladle into bowls, serving lemon wedges/or squeeze of lemon juice and some fresh mint leaves (if available) or crushed dried mint. NOTE: This soup will thicken a lot as it stands. Loosen with some hot water and re heat, if you are not serving immediately. The lentil soup is on its way to dear Susan’s MLLA 23, she is hosting is herself this time! Look delish! Bright and beautiful color of soup. Would love to try this sometime. First up love the color and soup sound delicious. I got introduced to masoor dal only after coming to the US and it is not a regular in my kitchen but we like it the few times I have cooked with it. Looks healthy and tasty… beautiful presentation! I really need to get my hands on sumac. I had it at a restaurant but haven’t been able to find it locally. I am always up for a masoor dal soup and this one is tempting me so much! I started eating red lentils few months ago, when I became vegetarian…I don’t like regular lentils but these are fantastic. I too have to get hold of this sumac? Love lentil dishe, though till now i have never made soup from this, looks so so good. This soup looks wonderful. Love the addition of sumac! 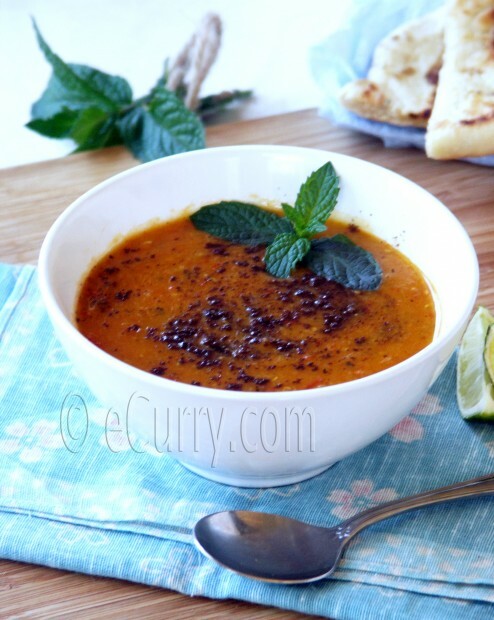 love any type od red lentil soup…love the aroma of this dal. sumac is new to me…soup looks delicious Soma. New to me and looks absolutely delicious! Love the set up for photography! The soup looks incredible, and it is wonderful to learn to cook good ol’ lentils with new exciting flavors. Gorgeous color. I have never tasted Sumac powder, must look for it. Love Masoor dal. Hi Soma, kemon acho ? Anekdin katha hoini. Meyera kemon ? The soup looks gorgeous. I love lentils!!! 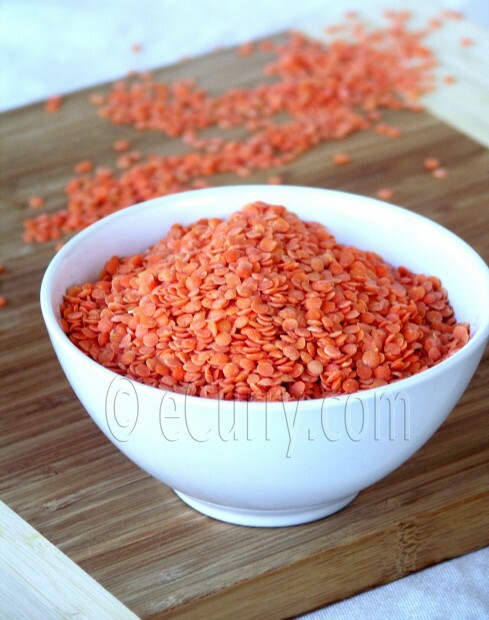 I have to try red lentils …beautiful color. Love the flavors…delicious soup,Soma! Your soup looks gorgeous! Absolutely amazing! Ki shundor laagche soup ta with the hint of mint. I love that photo of mushur daal. I have just rescued your comment from the spam folder. You know the one I mean. 🙂 It really did just brighten up my day. Hugs! I should look up more about this sumac. Noticed it in one of your earlier recipes too. This soup sounds like a great blend of desi tastes and turkish origins! Cheers! I love masoor dhal because of quick cooking, never made soup, like the different twist with sumac! I think that this recipe is very suitable for summer.Having red lentil soup is a nice thing in summer. I need to try some red lentils soon. The last time I cooked was with canned (brown) lentils. I love lentils! This recipe looks delicious. Soup looks hearty and inviting, love it ! Love love the wonderful bowl of soup! This soup sounds fantastic with sumac, yummy! Soma, very impressive! I also love this soup; it’s so nutritious and so warming. Mercimek corbasi is my favorite Turkish soup. The sumac is a nice touch; never had it with sumac. We usually put red pepper flakes, but next time I’ll try the sumac! I’ve had sumac in a number of Middle Eastern dishes, but not with lentils. I’m intrigued. Looks marvelous, Soma. I am particularly smitten with the lentil photo. I want to stick my finger in the bowl and play with them. So pretty. Thanks for joining in MLLA! Amar musur dal ekdom simple bhalo lage … kintu tomar dal tar ki shundor rong hoyeche Soma! Tomato paste er jonne? I know this soup. In Istanbul I eat mercimek corbasi almost with every breakfast. But mercimek corbasy with sumac is someting new. I must try. This brings me back to Turkey. I love the addition of sumac. I just picked some up at Penzey’s and will have to try your soup! I’ve had Greek Lentil Soup before, which was pretty good but it didn’t have this great red coloring. Have you ever tried making it with spinach (http://www.recipe4living.com/recipes/spinach_lentil_soup.htm)? It’s hearty and healthy! Thanks again for sharing it. I’m keeping it in my winter recipe collection! That soup looks good! Nice photos! This soup looks yummy! 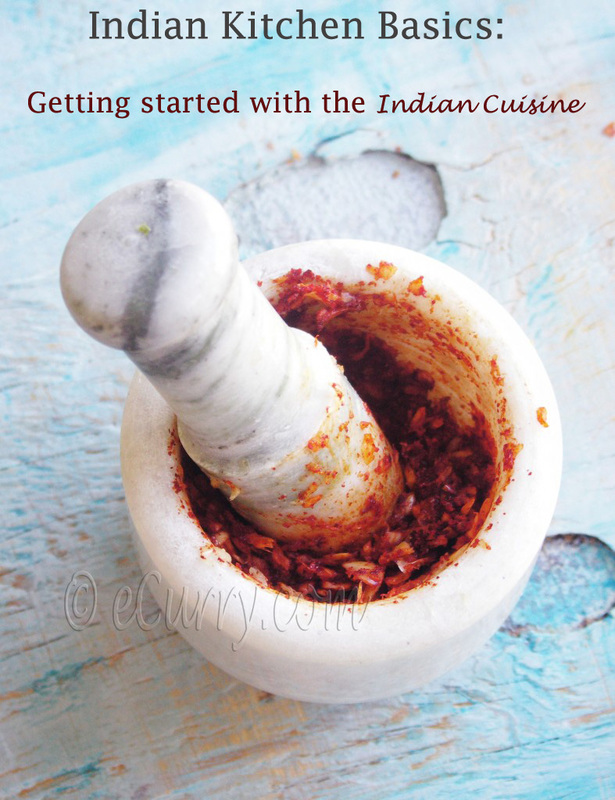 Sumac is a delicious spice: I love the little “quick” it gives! I couldn’t resist not commenting! This may be the best food blog discover i made ever, the recipes are so real and original. I am turkish from istanbul and right we call it mercmiek çorbası, but do you know how much we have in common regarding to cousine (yoğurt,tandır,sumak,paneer etc etc) and just daily vocabulary? We used to live as neighbors some thousand years ago in Asia. Feel free to visit me anytime in Istanbul! I LOVE red lentils and make curry’s with them all the time but this recipe using sumac is such an interesting new take – thanks for the recipe! 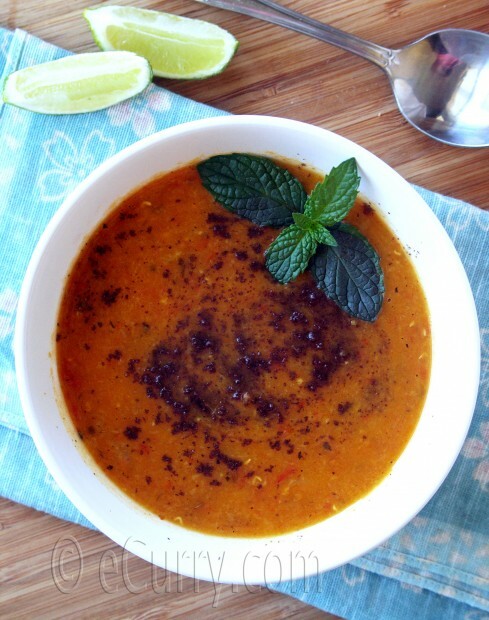 I just tried this red lentil soup today and it is delicious! And I love your food blog, the pictures are lovely, the descriptions alluring and the food delightful. Red lentils also count as a low G. I. food, I added diced sweet popato and celery. also very good with pita bread. Your red lentil soup recipe! really very good. Hi awesome recipe! Thank you so much. We live in the SF bay area, sumac is very easy to find 🙂 it really makes the difference too. Great! Happy that you liked it:) Yes the sumac does add a lovely level of flavor. This was my favorite “çorba” (soup in turkish, so its written with “ç” not “c” Mercimek Çorbası. This is so tasty that not only did I make it on Wednesday, I’m making a double batch today! My boyfriend is Middle-Eastern, and he loved the sumac and mint additions. This is my new favorite red lentil soup, and that’s not something I’d say lightly. Thanks for sharing this! Thank you so much for sharing this recipe. Will be definitely following this blog from now on. Thank you Thank you and Thank you to all those who have given this a try! This is really a delicious soup as so many who have tried it out agree – the simple combination of red lentils, sumac, and mint is perfection itself. Mmmm … Thanks, Soma, will be making this again and again. My new favourite soup. So tasty! Love the addition of sumac and mint. It’s definitely going to be a staple in my kitchen. Already made it twice. One of the most amazing soup recipes ever. I travelled to Turkey recently, had this soup every day almost. 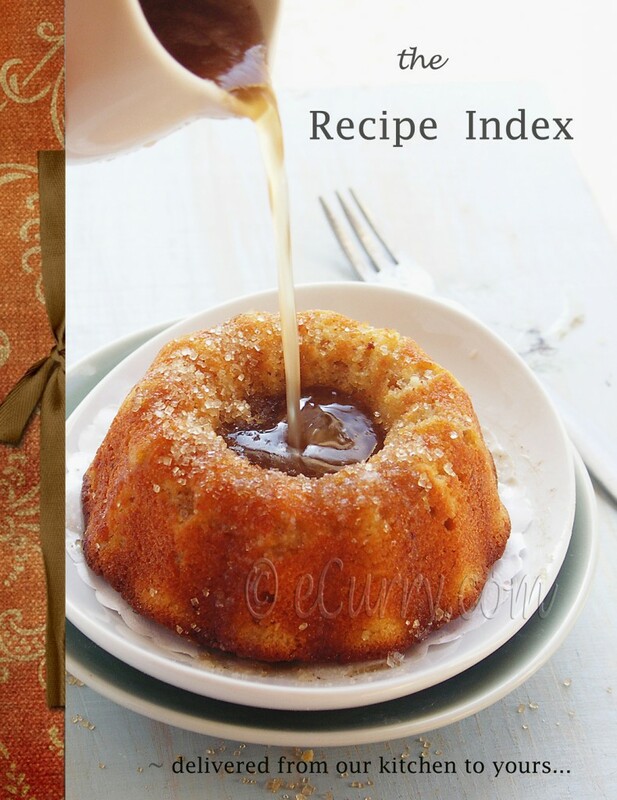 Your recipe is perfect or a perfect base for people who want to add to it.!!!!!!! Serve with lemon and bread and is perfection. Serve with olives and cheese and lemon and bread it is magical perfection. If it’s cold outside and a bit rainy, super magical A+ perfection. Thanks for the recipe, it will be used by ME and my family for a long long time…………… now where’s that kofte recipe????????????? Thank you 🙂 I am not much of an expert in Turkish cuisine, so Kofte here yet! Do you mean the red lentils kofte or the meat? I love this soup so much! 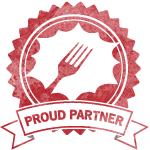 Have made it several times including for a dinner party – all the guests raved about it. Sometimes I top it with bits of fried chorizo, yum! Thanks very much for the recipe – I hunted it down after having this soup at the Mezze Bar in Auckland, New Zealand. Yes salt!! I had missed it. Thanks for pointing that out. I have updated the post. No pepper. But if you want to add some, please go ahead. I just made this and it was so delicious. The sumac and the mint are incredible. This recipe is a keeper. Thanks for sharing.